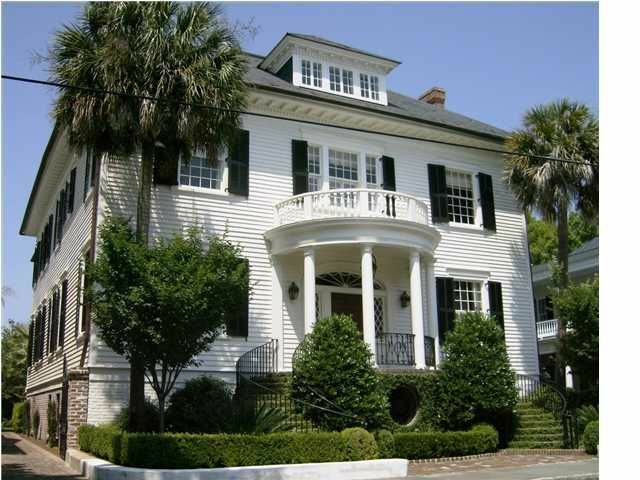 Located on lower King Street and in the heart of Charleston's historic South of Broad district, you will find this magnificently renovated home full of all the conveniences of now with the grand charm of the past! 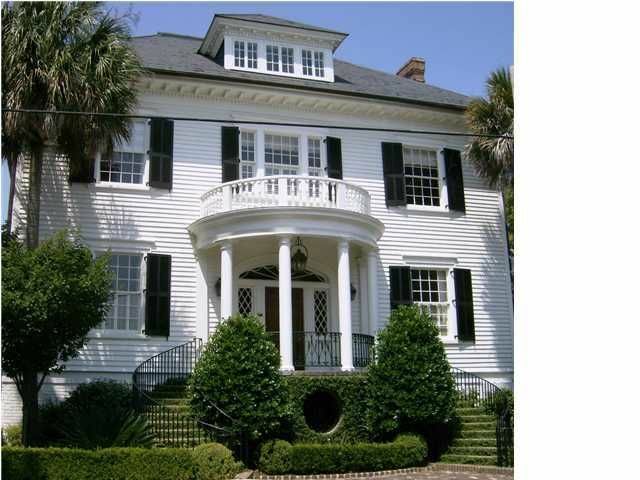 This impeccable home boosts gorgeous hardwood floors, high ceilings with intricate molding, 7 fireplaces, full home audio throughout, a formal living room and dining room off the grand foyer with a very welcoming family room located near the kitchen. The custom designed kitchen features marble countertops with a large marble island, top of the line stainless steel appliances, gas cook top, double ovens, plenty of cabinet space, and even an eat in area! Up the stairs to the second floor, you will find the Master suite with its own private piazza that is perfect for relaxing and watching the sunset. Dual Master closets, one of which is oversized and fabulous! The Master bathroom includes heated floors, iron claw foot soaking tub, amazing walk in shower with multiple shower heads, and his and her vanities. Also on the second floor are 3 very spacious secondary bedrooms with their own separate bathrooms as well as an alcove room which would be perfect for an office or the children's study room. The top level of this remarkable home includes an unusually large media or playroom with great storage, as well as another guest bedroom with its own full bath. The basement is finished with an office, exercise room, storage room, laundry room, half bath and a very nice size cedar closet! There is also a wonderful covered patio right outside the basement doors that will lead you into the backyard oasis where you will find a heated pool lined with Palm trees! Off to the side, there is a superb area for sunbathing, grilling and not to mention entertaining! Also perfect for entertaining friends is the separate Pool House with a screened in porch that boasts approximately 600 sq. ft., a bathroom with a separate walk in shower, fireplace, wet bar complete with a sink, dishwasher, refrigerator, and wine cooler! 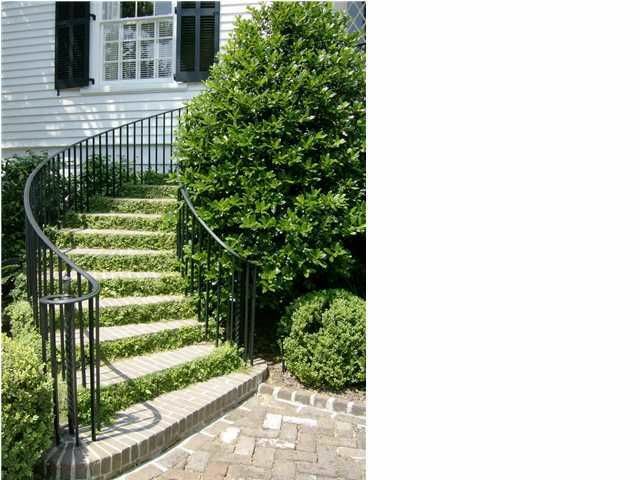 Since this beautiful home is situated on a double lot, there is also an elegantly designed courtyard and garden just past the Iron Gate! 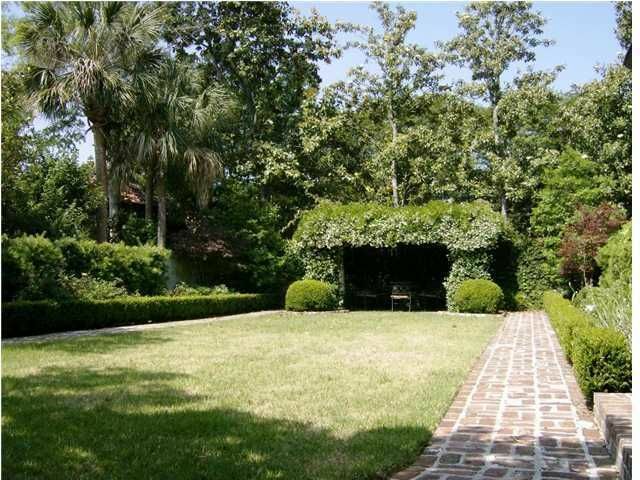 This well maintained property presents an extraordinary opportunity to live on one of the best known streets in Charleston not to mention walking distance to restaurants, art galleries, boutiques, White Point Gardens, the Battery, and Charleston Harbor!